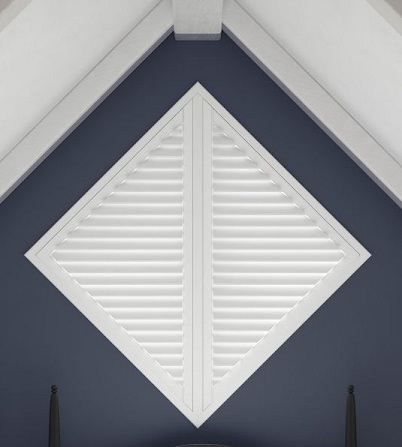 Our spectacular range of made-to-measure, handcrafted Basswood or HS PVC shutters offer an exquisite and timeless design solution for your interior. 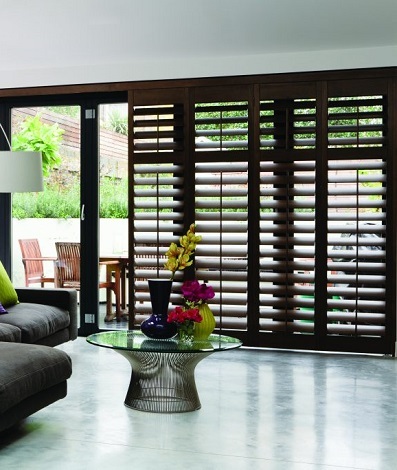 Adding value and opulence to any style of home, whether traditional or contemporary, basswood and PVC shutters are extremely versatile and allow optimum light and privacy control. Research by English Heritage and Glasgow Caledonian University shows that shutters can minimise heat lost through windows by 62%. Additionally, shutters aid in noise reduction in comparison to other window coverings. Child friendly by design, shutters are completely cord and chain free ensuring complete peace of mind from safety concerns. Basswood is a light weight and sustainable natural wood making this an eco-friendly design choice. 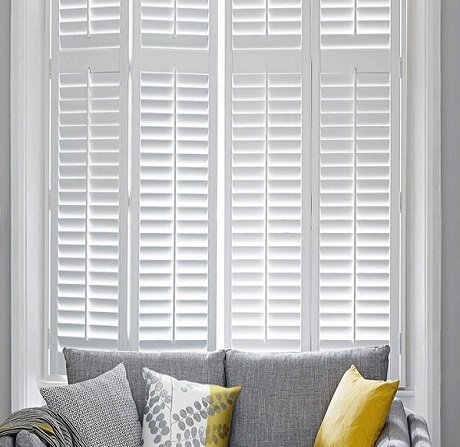 Hardwood shutters are available in various stained, or painted finishes, with custom colour options being attainable (Farrow & Ball, Dulux trade or RAL colour). The Faux wood shutter range, manufactured from high quality HS PVC emulate the beauty of real wood and are available in nine neutral colour options. Exceptionally durable and 100% waterproof this is an ideal selection for high moisture, or high traffic areas. 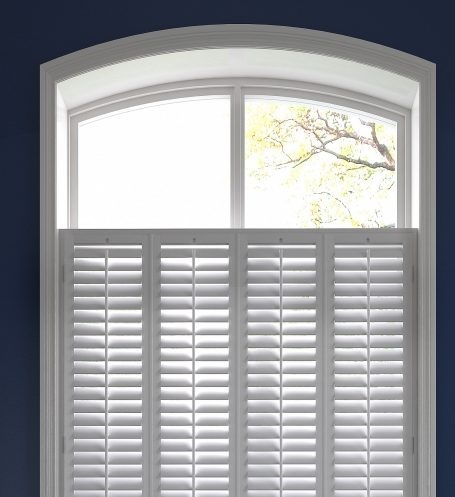 Handcrafted to your specific window measurements and window style, there are various shutter and louver sizes to choose from. The most popular shutter option, Full Height covers the full expanse of the window and offers superior insulation and noise control. Dependent on the window dimensions, Full Height can include a mid-rail providing the additional benefit of being able to operate the top and bottom louvers independently. This provides greater flexibility over light and privacy. Similar to the full height option with mid-rail, tier on tier shutters are two sets of panels, one on top of the other. Boasting superb versatility, privacy and light control, both panels can be adjusted separately. With café style shutters, only part of the window is covered, which enables full light to flow through the upper section of window. A more cost-effective option than full height shutters, this offers less thermal efficiency and noise reduction than the other shutter types, however, maintains full light and privacy control within the lower panel. Designed to cover the more unusual, and awkward of window shapes, these bespoke shutter panels come in a variety of shapes and sizes. 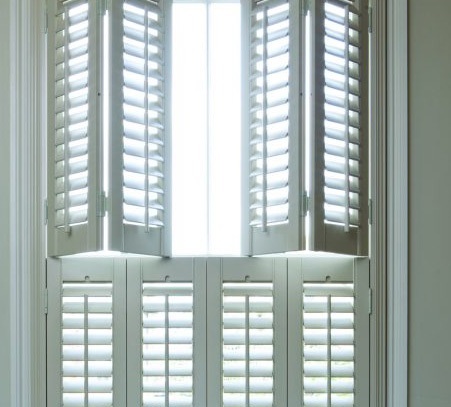 Providing greater access through patio doors, and ideal for larger windows, these shutters slide on a track rather than being installed with frames and hinges.